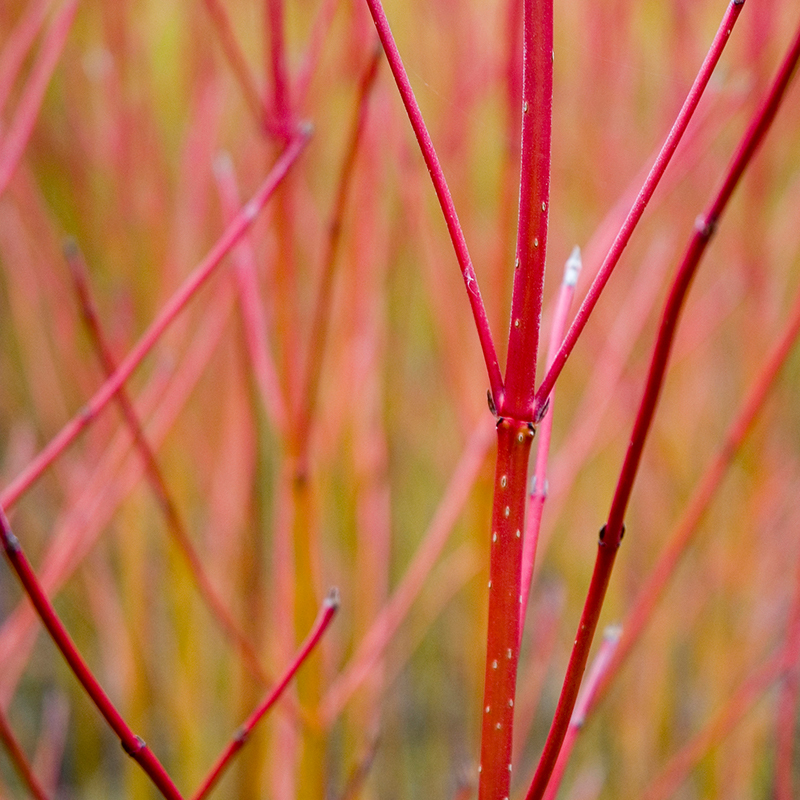 Dogwood varieties are invaluable in winter, their fiery colours and stunning architectural displays are emphasised by the surrounding dismal weather, bare beds and colourless plants. They truly come into their own over winter taking centre stage in any winter garden design. Dogwoods aren’t just for Christmas! These vibrant plants need to be nurtured in order for you to get the best of their wondrous winter display. Brighter colours are emitted by new growth therefore strategic pruning allows this plant to re-establish throughout the year, ready for winter. The ideal time and method to prune Dogwood for a winter spectacle is in late March to mid-April, just before the new growth develops. Cut back almost a third of the stem, we suggest keeping the stems about 5-20cm above ground level. It’s a hardy plant so it can withstand such a harsh prune and has a fast growth rate you can cut into the back rest assured that it will grow back. Take a look at the image below of a trimmed Dogwood hedge. Take a look at our ultimate guide to Dogwood hedge plants for more information on this colourful shrub. Winners of the Sales Team of the Year awardGet the Winning Look!